Former Great British Bake Off winner, Frances Quinn will be appearing at this year’s PieFest event to join visitors in a celebration of the best of British pies. PieFest will be held at the Cattle Market in Melton Mowbray from 29-30 July 2017 and visitors will enjoy all things pie-related including sampling, buying, eating and even learning how to make their own pies. Frances Quinn, from Market Harborough in Leicestershire, is best known as the winner of the fourth series of The Great British Bake Off in 2013. Her first book was ‘Quintessential Baking’ and she has made many appearances on TV and radio in the UK. 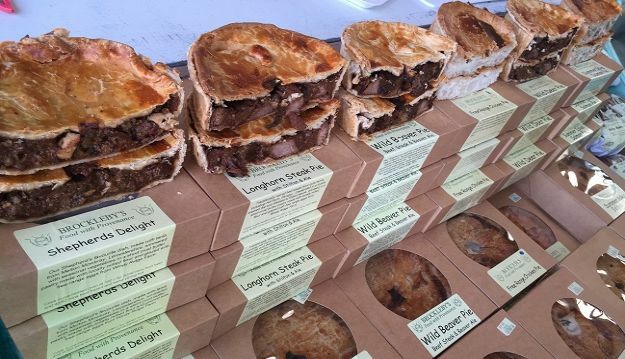 A number of the UK’s awarding-winning pie makers will be at the event selling their pies including past Supreme Champions of the British Pie Awards. There will also be a Pie Kitchen where visitors can eat hot pies – baked to perfection with mash, vegetables and a variety of accompaniments. The Pie Theatre programme also includes talks on How to Rate a Pie, a demonstration of hand raising a Melton Mowbray Pork Pie, a Pie Panel that will discuss your pie and pastry woes and queries, plus one idiot’s attempt to find the perfect pie in ‘A Life of Pies’. There will also be cheese, beer, cakes, wine, chutneys, cider and more, plus entertainment. From being the home of the classic Melton Mowbray Pork Pie to hosting the annual British Pie Awards, Melton Mowbray in Leicestershire is regarded as the UK ‘Capital of Pies’. PieFest will run from 10am to 4pm on the weekend of 29-30 July 2017 at Melton Mowbray Cattle Market, Leicestershire LE13 1JY. All the stands are undercover. PieFest 2017 is sponsored by Dickinson & Morris with support from Melton Mowbray Market.